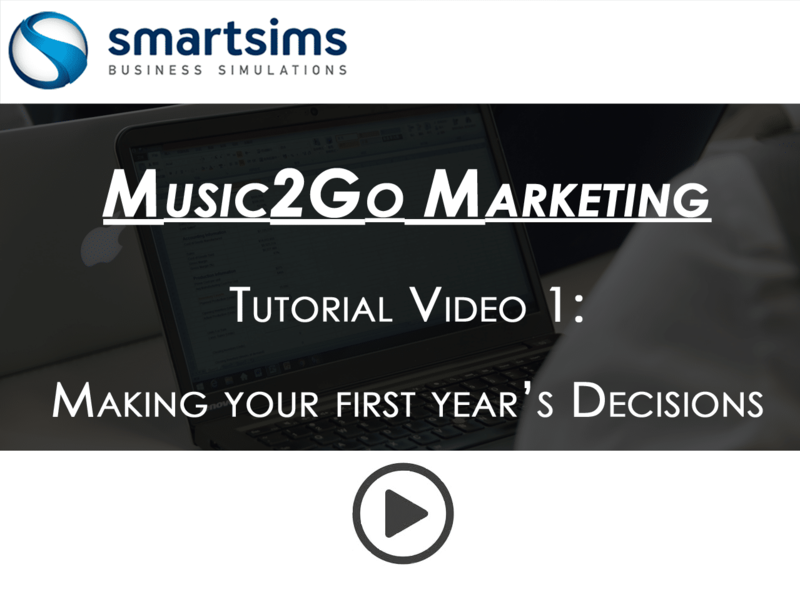 Student Tutorial Videos for the Music2Go Marketing Simulation. 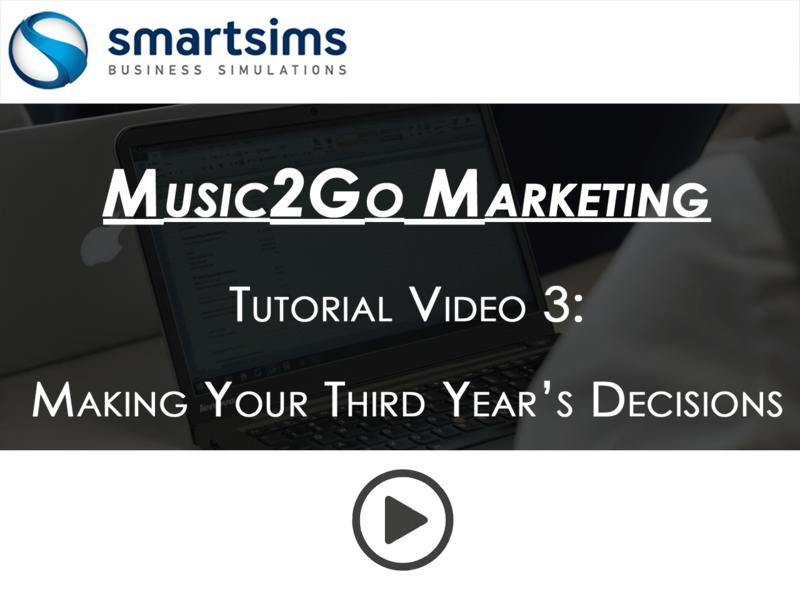 This video will guide you through making decisions for your first year in the Music2Go simulation (your first decision period). 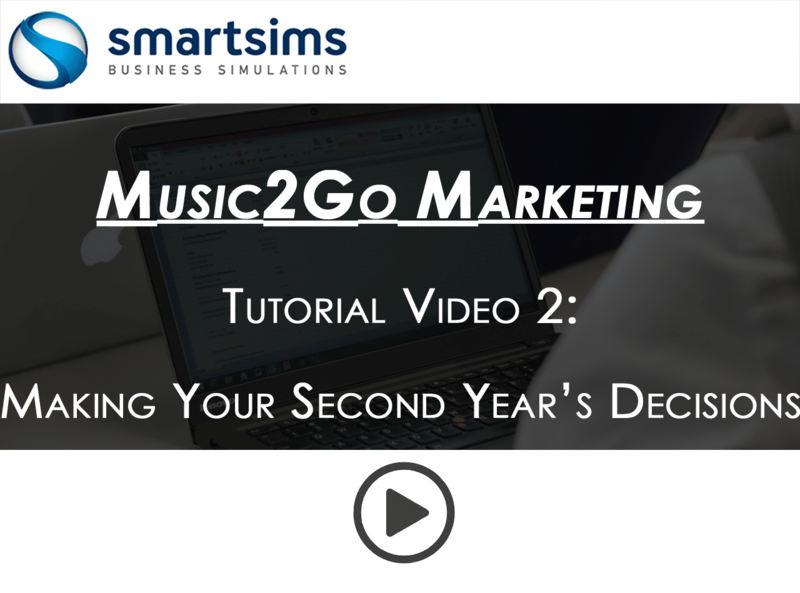 In the first year of the simulation you are making sales and marketing decisions for your company’s only product. This video demonstrates how to review your results and make revisions to your previous year’s strategy. It will also guide you through making the new decisions available in year two of the simulation; Sales Promotion. This video provides an overview of the new decision areas in year three of the simulation; Product Development.